The Admiral Shipyard, part of the Italian Sea Group, is located in Marina di Carrara, Italy. It features over 100,000 square meters of production sites, 11 sheds, 1,000 tons of total lifting capacity, a 200m dry dock, 1,500m wet berth, 2,200 ton floating dock and is 100% made in Italy. The Admiral showroom features a textile library, contemporary art, and a focus on food and design. Admiral emerges clients in the full “Italian” lifestyle. Admiral Shipyard builds Italian superyachts in aluminum and steel measuring up to 145 meters in length. The Italina shipyard began in the early 1950’s building wooden motor yachts. As popularity of these vessels increased the shipyard started building larger, faster models. Eventually, in the early 1980’s, Admiral began building high performance yachts in a light aluminum alloy followed by full displacement steel hulls and aluminum super structures. Later, in 2011 Technomar Italian Shipyard merged with Admiral and both brands became The Italian Sea Group. 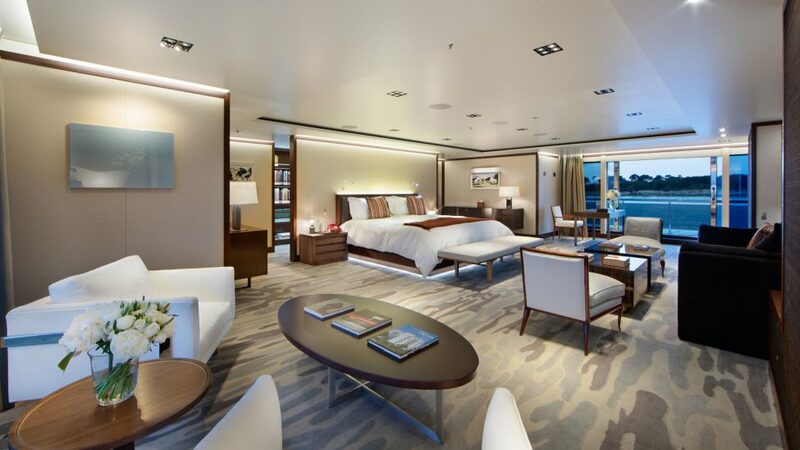 M/Y JEDI is an award winning 38m Admiral yacht. 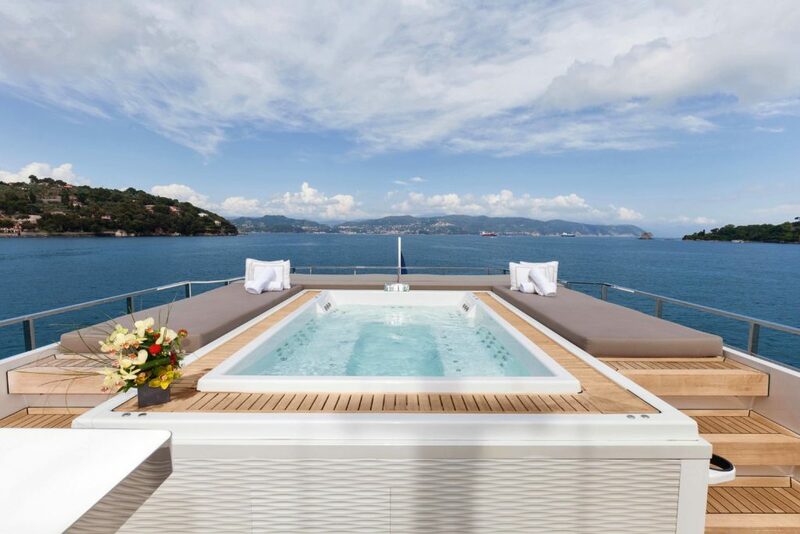 She features exterior design by Luca Dini and a contemporary interior by Gian Mario. The appealing five stateroom layout and raised pilothouse design compliments her extensive list of features. 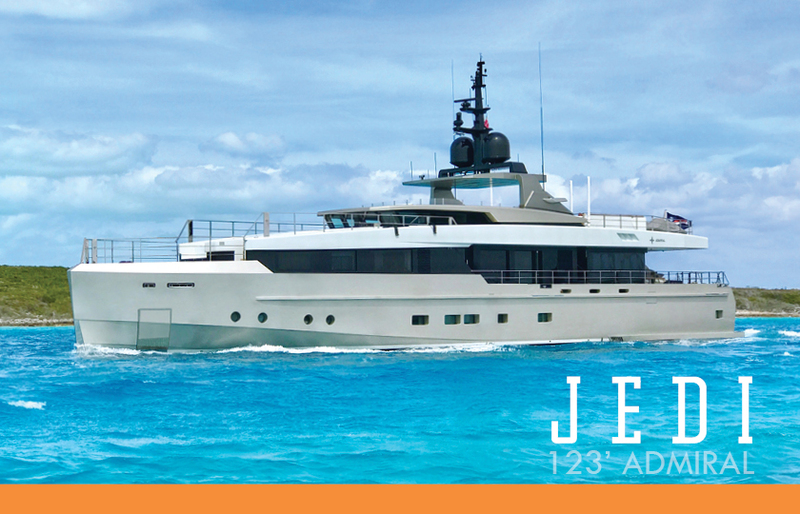 Admiral yacht JEDI is currently available for sale and for charter. 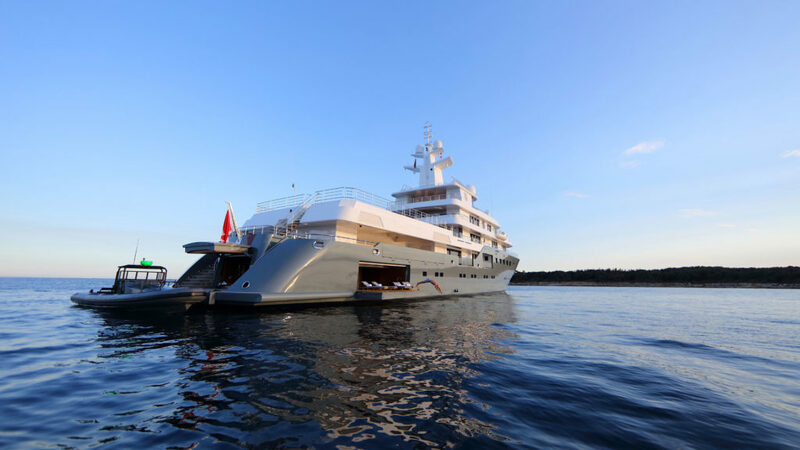 Admiral Yachts launched the 75-meter explorer yacht PLANET NINE in 2018. She is the 575thyacht launched by Admiral shipyard and is considered one of the World’s Top Explorer yachts. PLANET NINE is currently available for charter. Admiral yacht PLANET NINE boats 2,100 gross tons of volume. She has an elegant yet contemporary design done by Tim Heywood. 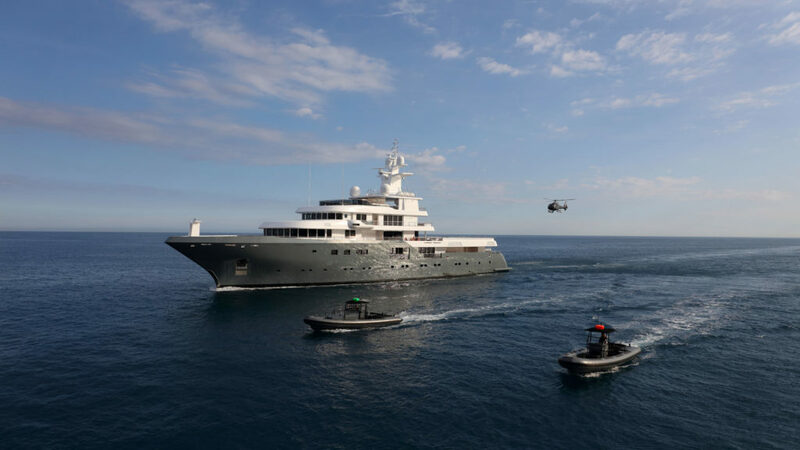 The yacht is equipped with a helipad designed to accommodate a helicopter with a below deck hangar and refueling capability. There is a private 3,000 square foot owners deck, large cinema, steam room, sauna, Jacuzzi and elevator.